Refining their interaction every time they play together –saxophonist Evan Parker, bassist Barry Guy and percussionist Paul Lytton don’t lack for other gigs, but express instinctive rapport here. Veteran British improvisers, the three use a variety of advanced techniques, keeping things interesting by varying trio counterpoint with duos and solos. Hitting the ground running, the trio is at the top of its form as soon as the first note sounds. Precisely triggered dynamism is quickly indicated with stuttering honks and elongated split tones from Parker, ratamacues and minute cymbal snaps from Lytton and rasgueado strums and spiccato patterning from Guy. Characteristically, each solo delineates what each improviser does best. Yet the singular lines are never solipsistic, since each involves contrapuntal timbres layered on top of one other. Producing almost non-stop, circular-breathed reed-biting and key pops for instance, the saxophonist doesn’t operate in a vacuum, since his line is influenced by the bassist’s rapid-fire sul tasto strokes and reverberations. Similarly, the percussion showcase, which encompasses chains rattling on top of snares, discreet pressure on the cymbals and resonating taps of miniature bells, is polyrythmically complemented by Guy’s triple-stopping tremolo and shuffle bowing variations. By the finale – that prompts the Barcelona audience to demand an encore – altered texture are so intertwined, that at points, Guy’s ratcheting stops, Parker’s sibilant overblowing and Lytton’s sandpaper-like brush work are virtually indistinguishable. ……Parker is with another other renowned trio which also includes Guy and Lytton, who present their take on the hardscrabble, turn-on-a-dime world of attuned improv on (2). Though the group has worked together on and off for forty years as part of various ensembles, they have been a working group for over a quarter century. This performance, recorded in March of 2006 at a Barcelona auditorium, was their first gig together in several months and the excitement of this reunion is palpable. The entire performance is captured here, including an encore, with convenient access points to break up the program. From its initial moments, the trio is on fire, with Guy and Lytton churning the stew amidst Parker’s jagged whirls. After a bass and percussion interlude, the third section features another invigorating cascade similar to its initial engagement. While the trio works splendidly together, bridging the overall group unions are a stream of solo and duo journeys that drift both in and out of range while keeping the overall conception together. For instance, Lytton’s unique approach is highlighted on the fourth section, while Lytton and Guy stretch their percussive muscles on the fifth and eighth sections, the latter highlighted by Guy’s whirlwind arco flights. Parker also wields his soprano here, which is particularly incisive during the bass/soprano duet of the sixth and seventh sections, the latter of which centers on Parker’s otherworldly technique and vivid sonic picture. The final section is truly awe-inspiring, as the impending doom, a gritty tension and elaborate sounds build and then slowly drift away. As for the encore, the nine-minute energy-filled postscript harkens back to the concert’s initial spark, with Parker’s tenor soaring as Guy and Lytton march along mightily. An exhilarating portrait of Parker- Guy-Lytton circa 2006. My level of expectation for a new release by the trio of Evan Parker, Barry Guy and Paul Lytton is always high. These British gentlemen are masters of free improvisation and have collaborated together for almost forty years in many groups, like Barry Guy's London Jazz Composers' Orchestra and the more recent New Orchestra and Evan Parker's Electro-Acoustic Ensemble. They have criss-crossed over the years in duos, trios and trios augmented by like-minded improvisers such as pianists Marylin Crispell and Alexander von Schlippenbach. But, still, Zafiro shines relative to their extensive discographies. Zafiro documents a concert by the trio at l’Auditori in Barcelona, Spain on March 2006 before an attentive audience, this after months where the three had not played together. 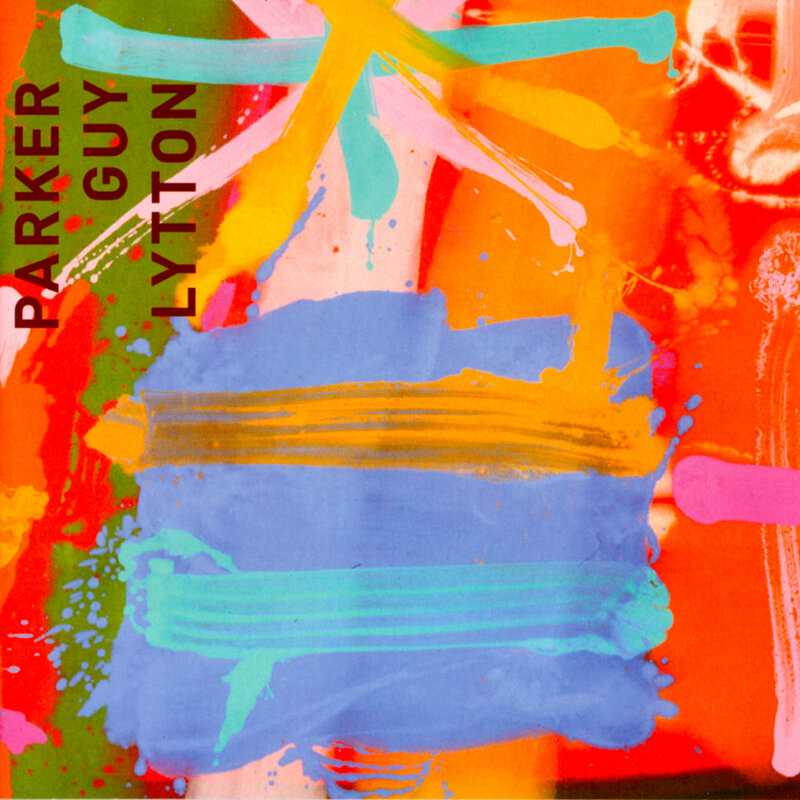 From the first second of the concert, Parker, Guy and Lytton burst with fresh, energetic intensity, but at the same time they sound relaxed and unrestrained, as if they are letting the rare musical process to carry them organically, and not the other way around. The trio—often fractured into duo and solo constellations—is still determined to face and explore the stimulating course of free improvisation, but in a manner that establishes itself as a unified musical identity. And indeed the high level of communication and emphatic interplay among all three—plus their inexhaustible will to delve into the moment and their experience, wisdom and virtuosic playing—sparks the music from beginning to end. Their instrumental expression is quite recognizable by now, but the boundaries between their voices sometimes gets blurred as Guy slaps the strings and hits the double bass, Lytton bows the cymbals, and Parker slaps percussive sound from his saxes. The dense texture of the opening flows easily into a more abstract and inventive duo between Guy and Lytton, both rumbling on the strings and skins; than Parker's tenor sax joins in and the flow of music becomes at the first melodic, almost song-like, and then more dramatic and explosive interplay, eventually dissolving into a spare percussion solo that toys with metallic sounds. Guy takes the lead with unorthodox arco techniques on the bass, soon joined by Parker, who demonstrates his circular breathing on an impressive almost soprano sax solo. Guy and Lytton join again and counterpart Parker's angular lines. A tense and short duo between Guy and Lytton follows, focusing on lingering percussive tones, and than Parker joins the two with his soprano sax and the trio sails naturally into its most forceful interplay, sounding like a striking dispute among all three until the standing ovation. The encore is much more relaxed and emphatic; all three ascend quickly into inevitable, energetic and tight playing that demonstrates, again and again, the sophistication and creativity of the musical language of this trio. Simply magical. The best comparison to the trio of Evan Parker, Barry Guy and Paul Lytton in modern performing jazz might be Keith Jarrett’s trio with Jack De Johnette and Gary Peacock. Like Jarrett’s trio performances of jazz standards, the Parker/Guy/Lytton meetings are modern benchmarks for trio interplay, empathy and creative music. But where Jarrett begins his exploration at a well-known point of departure, Parker, Guy and Lytton draw upon their forty-year codex of improvisation—not only as a jumping-off point, but as their lexicon. Fans of improvisation should be familiar with the language that this trio utilizes and undoubtedly created. Newcomers certainly can find an easy entry point into this music, as these three masters present a very sympathetic vibe through their interplay. Their forty years of collaboration in groups from duos to the London Jazz Composer’s Orchestra, plus each player’s leadership of individual projects, seems to always be summed up in any of this trio's encounters. Their previous live recordings of note are Atlanta (Impetus, 1986), At The Vortex (Emanem, 1996) and At Les Instants Chavirés (Psi, 1997). Like these releases, this Barcelona live recording from March 2006 brings the energy of the “live” experience to the listener. The single piece “Zafiro,” plus an encore, range from full-on dissonance to contemplative silences. In between, the players split off into duos and solo sections that deliver a very satisfying experience. Repeated spins disclose the non-obvious, the buried treasure of the supporting musicians' backing. Behind the circular breathing of Evan Parker’s saxophone, you can feel the pulse of Barry Guy’s thoughts or the rattle and shake of Lytton’s presentation, all of which is candy for the ear. ….compared to the general ambience of the 1983 recording (Hook , Drift and Shuffle) Zafiro is a firestorm. The overarching waves and long-form peaks and valleys are still present, but the volume and energy level has been raised considerably. Always somewhat restless, even at moments near silence, the 2006 concert bubbles with volcanic energy, ready to spill over at any moment. By the time of the ninth track, the eruption occurs, the slow burn becoming torrents of ash and fury as Parker unleashes his customary streams of notes, Guy’s bass groaning and sliding underneath. Elsewhere, surprisingly enough, the trio actually swings, Lytton’s drumming taking on a historically informed postbop aura for just a moment or two. Far from retrogression, a listen through the latter performance actually exposes details nascent in the former, rendering it a maturation rather than any sort of retreat. The discs are complementary, dialectical views of this long-term collaboration and no fan or devotee of Parker, Guy or Lytton’s work should be without either. Evan Parker, Barry Guy and Paul Lytton meet in Barcelona. A trio concert in the «Auditorium» is on the agenda, the first one for months. «We hadn't seen each other for quite a while and were really looking forward to it», Barry Guy remembers. That their reunion should take place in Barcelona, was as obvious as the intention to record the evening's concert. However, nobody knew beforehand that sound engineer Ferran Conangla would hand over a glittering uncut gem at the end of the day from which a sapphire - Zafiro would develop. «Sometimes live recordings can be quite magical», Barry Guy says in a kind of terseness impossible to translate. He and his partners attribute a magic to the «Barcelona Session», which is moving in its rareness – but which is surprising at the same time. After all Parker, Guy and Lytton have known each other for over 40 years, they are almost the same age and have nearly the same background (Parker comes from Bristol, Guy and Lytton from London). They have been playing together since the sixties: initially in the «Spontaneous Music Ensemble», then in the «London Jazz Composers Orchestra», up to the present day in the «Barry Guy New Orchestra» and in Evan Parker's «Electro-Acoustic Ensemble». Parallel to this, between and criss-crossing, in duo, trio and quartet formations. And for a good 25 years, as Parker – Guy – Lytton trio. That such a magical moment is still possible - after such a long and intense collaboration - has something to do with Barcelona 2006 insofar as the preconditions were optimal at the time. Barry Guy praises the atmosphere of the concert space and the attentive audience. The best basis for the musicians who, for their part, felt a special spirit. They had arrived with high expectations. From different directions, different soundscapes and emotional situations. Full of experiences, news and ideas to pass on to the others. And, at the same time, emptied in the sense of quiet, relaxed – and primed to get involved in a new adventure. To explore new ground, once again, as a trio. Whoever listens to «Zafiro» today, is – even without this previous knowledge – both amazed and fascinated how as a matter of course and, at the same time, committed these three musicians/individuals «communicate» with each other. The start – precisely triggered by drumstick, bass chord and saxophone pads – sounds as if a door has opened, and as if we, the eavesdroppers, would burst in on an animated round of talks. In Barcelona, Parker, Guy and Lytton quickly noticed that «the spark was there» ( a rare pleasure even for the most well-rehearsed professional). Stimulated in such a way and secure at the same time, they played forcefully, but with precision. Virtuosic but with deliberation. Thrusting about but compact. Densely as, for example, in the first «deep inhalation» (3), which develops an almost song-like structured loop from the slowly emerging duo constellations – first bass and drums, then saxophone and bass. On the one hand, Guy refers to the source of power of the process mentioned by Evan Parker, but on the other hand points out the time factor. The time available, which fundamentally distinguishes a live set from a recording session in a studio. Time set aside that you have to take and savour during a live set. In Barcelona, the time flew by in an almost organic manner, for the audience it was simply not an issue; one has only to feel the silence and concentration of the audience during the whole set of almost one hour! Which also the three musicians manage to utilise, unquestionably and selflessly, clearly audible not only in the aforementioned sequence (3), but – in a very special way characteristic of this trio - in what is possibly the most important phase of the set, starting with a short interplay (4) and developing into the long part at the end (5). It is about interplay, about dialogue and dispute. About constellations. Evan Parker once said that, for him, the most exciting and fascinating thing about the trio Parker – Guy – Lytton was the solo and duo playing within the trio. In itself a strange statement, the meaning of which only reveals itself on listening, at best while watching the trio. We have already referred to the emerging duo constellations (3); during part (4) and far into part(5), at no point are all three musicians heard together. These solo and changing duo parts can be seen as almost a counterpart to those beguiling moments of luminescence, that is to say as rough edges, cutting through the flow of development thus allowing pauses, breaks and new starts. Rough edges which do not have a disturbing effect but create tension. Thereby energy. Although neither magnetic nor radioactive, a special energy is attributed to the sapphire. As to whether the reason for this lies in its geological specification (triagonal crystal), its basic chemical structure (Al2O3) or its physical characteristics (hard, dense, conductive), is a matter of conjecture. What is important is: a sapphire symbolises and invokes quietude, peace, purity. States that Evan Parker, Barry Guy and Paul Lytton reached during the set presented here. By means of music, rough and wild, which condenses organically into something of angular beauty. A union which ultimately makes for the «purity» of this set. A magical, mysterious set for posterity.